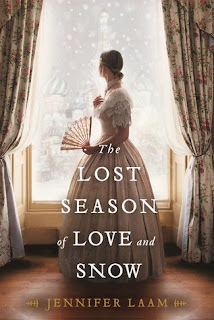 Synopsis: The unforgettable story of Alexander Pushkin’s beautiful wife, Natalya, a woman much admired at Court, and how she became reviled as the villain of St. Petersburg. 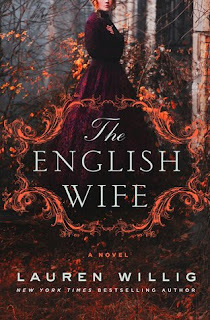 Synopsis: From New York Times bestselling author, Lauren Willig, comes this scandalous novel set in the Gilded Age, full of family secrets, affairs, and even murder. 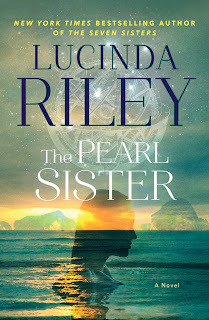 Synopsis: From the breathtaking beaches of Thailand to the barely tamed wilds of colonial Australia, The Pearl Sister is the next captivating story in New York Times bestselling author Lucinda Riley’s epic series about two women searching for a place to call home. 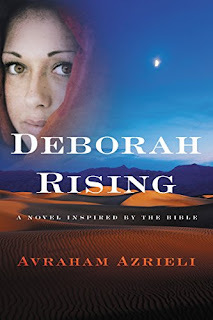 Synopsis: The author of the bestselling Deborah Rising continues the fascinating story of the Biblical prophetess Deborah in this entrancing work of visionary fiction—a tale of danger, mysticism, intrigue, and daring for fans of TheRed Tent, The Mists of Avalon, and The Alchemist. Source: This book was given to me by Enchanted Book Promotions in exchange for an honest review. The light and the dark were never meant to be separated. 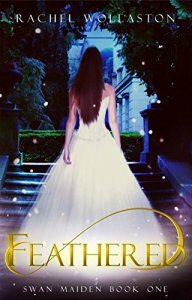 When her bargain with a malevolent wizard goes terribly wrong, Marion DuVal finds herself trapped between two forms: a beautiful but darker parallel of herself, and a swan. Somehow, she must adhere to the wizard’s wishes, but it’s hard to perform epic magic when your feet are flippers and your neck’s the length of a small fishing pole. Caught up in a lie of royal proportions, her task is to get close to the queen, and such a thing is difficult when a certain handsome prince keeps getting in the way. One girl; two identities. Marion must stop the darkness inside her before it’s too late. Based on the classic tale of Swan Lake. Source: This book was given to me by Rockstar Book Tours in exchange for an honest review. 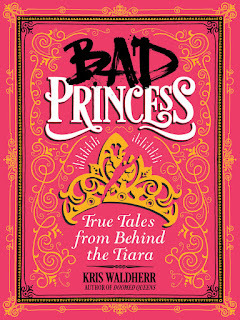 Welcome to Bad Princess by Kris Waldherr (author of Doomed Queens), where you'll discover what really happens after "Happily Ever After." From the war-torn Dark Ages of Medieval Europe to America's Gilded Age, and all the way up to Kate Middleton, Bad Princess explores more than 30 true princess stories, going beyond the glitz and glamour to find out what life was really like for young royals throughout history. My Most Anticipated Books of 2018! To be honest, I don't really know much about Alexander Pushkin or his wife Natalya. However, I read The Secret Daughter of the Last Tsar, and I enjoyed it immensely. This book has just been released. I saw this at my local library the other day, and it looks really good. It has everything that I want in a gothic novel; secrets, murder, and mystery. I have heard many people raving about this author. It seems like a perfect read on a cold winter's day, so I will definitely check it out soon! As a fan of historical mysteries, this looks like a fun read. I also like that it has a unique setting, which is set in India. Synopsis: In the tradition of The Red Tent, The Fifth Mountain, and The Mists of Avalon comes this absorbing historical novel that reimagines the life of one of the Bible's most revered women, the prophetess Deborah, and her epic journey to fulfill her destiny. 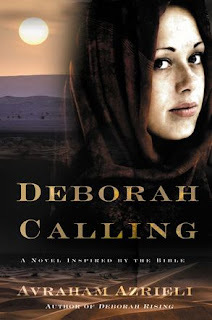 Deborah's father dreamed that his daughter would one day become a prophet of the God of the Israelites. But the social and religious mores of her time dictated that a woman must marry--even against her will--and obey her husband. When Deborah is forced into an engagement with the violent son of her local judge, the young Hebrew woman rebels, determined to forge a new path. 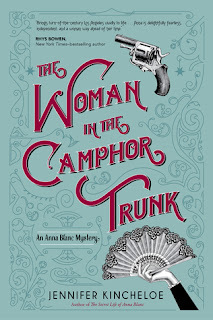 Synopsis: In early-1900s Los Angeles-- an era of courting, ragtime, suffragettes, and widespread corruption-- a socialite turned police matron tracks down the murderer of a white woman in Chinatown, while trying to prevent the outbreak of a bloody tong war. Guest Post by Ralph Webster: Female or Male Perspective? 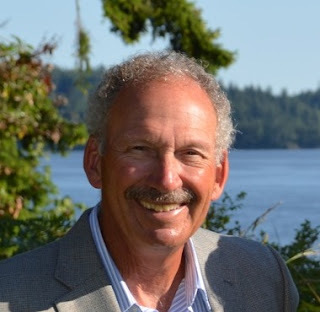 Today's guest writer is Ralph Webster. He is the author of A Smile in One Eye. His latest novel, One More Moon will be released on February 28th. The novel tells the story of his grandmother’s desperate journey from her life at the Pensione Alexandra in Naples to America. Mr. Webster explains the approach he took in writing from a female perspective in One More Moon. Whose voice? A woman’s or a man’s? This past week I was asked “how was writing One More Moon different from what I’d experienced writing the last book?” It’s a curious question - one that I find myself reflecting upon now and certainly something that I was not overly conscious of when I was writing. Had I considered the difference, would it have changed the way I wrote One More Moon? Los Angeles, 1908. In Chinatown, the most dangerous beat in Los Angeles, police matron Anna Blanc and her former sweetheart, Detective Joe Singer, discover the body of a white missionary woman, stuffed in a trunk in the apartment of her Chinese lover. If news about the murder gets out, there will be a violent backlash against the Chinese. Joe and Anna work to solve the crime quietly and keep the death a secret, reluctantly helped by the good-looking Mr. Jones, a prominent local leader. Meanwhile, the kidnapping of two slave girls fuels existing tensions, leaving Chinatown poised on the verge of a bloody tong war. Joe orders Anna to stay away, but Anna is determined to solve the crime before news of the murder is leaked and Chinatown explodes.